PHCC staff at the forum. More than 250 PHCC clinicians and staff have participated in this year’s Middle East Forum on Quality and Safety in Healthcare as official partners. The annual conference brings together healthcare professional on an international platform to share knowledge with the collective aim of improving the quality and safety care for patients and communities. PHCC’s participation included a presentation focused on patient engagement, unlocking the resilience potential in healthcare organisations, joy at the workplace and patient-centred care, the corporation said in a tatement. PHCC panellists also took part in sessions focused on the quality of services delivered for diabetics, patients suffering from chronic disease, dentistry services and the benefits of early screening. The forum’s objective is in line with PHCC’s “commitment to providing safe, compassionate, quality care across all primary care services and facilities while remaining abreast of the latest regional and international developments”, the statement notes. PHCC delivered engaging activities, challenging visitors on their knowledge of quality and safety in healthcare. 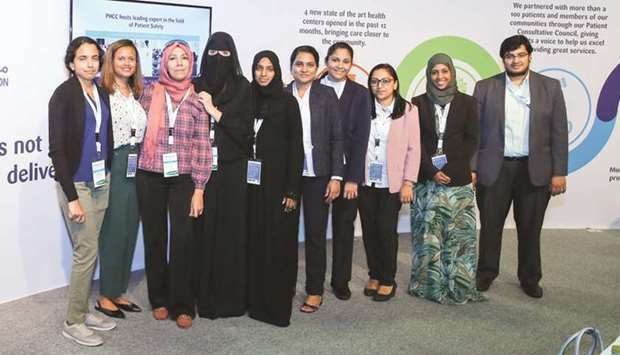 With a footfall of more than 500 visitors, the corporation said it “successfully engaged health professionals, shedding light on the importance of quality and safety in healthcare”. PHCC highlighted various aspects of its services at the event, including the opening of four new state-of-the-art health centres in the past 12 months, “bringing care closer to the community”; the partnership with more than 100 patients and community members to create the Patient Consultative Council, “giving patients a voice to help the corporation excel in providing great services”; the training of 2,378 PHCC clinical and non-clinical staff on Basic Quality Improvement and Patient Safety concepts and tools; and the dedication of 2,994 learning hours by PHCC staff in 2018 to the Institute for Healthcare Improvement’s E-Learning modules as well as the completion of 318 Quality Improvement projects since the start of the organisation-wide Quality Improvement training programme in 2015. Dr Mariam Abdul Malik, managing director of PHCC, said: “Participating in this annual event is an important partnership for us, as patient safety is a fundamental cornerstone of our health services. We are continuously working towards embedding the latest concepts in safety through innovative approaches. Quality and safety is embedded in all primary healthcare practices."